THE VICTORIAN Government has today announced the creation of a single agency for Victoria’s freight industry called Freight Victoria, which will operate within Transport for Victoria with the aim of boosting the state’s freight advantage. The Victorian Government said Freight Victoria will be supported by a panel of industry representatives, and will drive and coordinate the delivery of the Victorian Freight Plan by providing a central point of contact and consultation with the private sector. 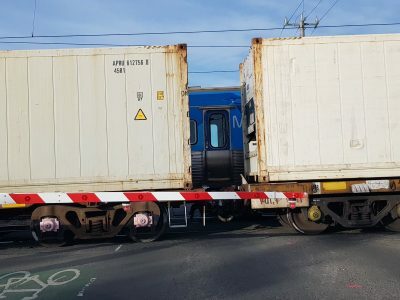 Victorian Minister for Public Transport, Jacinta Allan, said Freight Victoria would be the “one-stop shop” for primary producers, the freight and logistics industry, and local government to contact for information and assistance. “Industry has told us they want better coordination with government on the planning, management and delivery of Victoria’s freight and logistics network. Freight Victoria has been created out of the Victorian Freight Plan entitled Delivering the Goods, which seeks to shift more freight on to rail, and develop new inland freight terminals, as well as Truganina, a freight precinct near Melbourne at the southern end of the Inland Rail alignment. Victorian Minister for Roads and Ports, Luke Donnellan, said Victorian freight volumes were forecast to nearly triple by 2051. “This plan is a road map to making sure that we move freight as efficiently as possible,” Mr Donnellan said. It includes actions to deliver a business case for the Western Interstate Freight Terminal (WIFT), the extension of the Mode Shift Incentive Scheme, investigations into an integrated logistics hub at the Melbourne Markets and Dynon Road, and the review into heavy vehicle driver training and licensing. The plan has been developed in close consultation with industry and the Ministerial Freight Reference Group. The Australian Logistics Council (ALC) has welcomed the establishment of Freight Victoria. “ALC was proactively involved in advising the Victorian Government on the development of this updated plan, through the Ministerial Freight Reference Group,” ALC managing director, Michael Kilgariff, said. Mr Kilgariff said Freight Victoria would help improve the freight industry’s accountability, and could better coordinate different government agencies with regards to monitoring and measuring the performance of freight networks. ALC welcomed the plan’s recognition of the need for more reliable freight data, and a collaborative approach with local governments to address “last-mile” restrictions on deliveries in urban areas. Freight Victoria could also incentivise the uptake of telematics in all heavy vehicles registered in the state, as well as supporting port rail shuttles, and developing an effective regulatory framework for autonomous vehicles. “The new plan will provide certainty for industry by endorsing the view put forward by ALC and Infrastructure Victoria that the existing Port of Melbourne should be developed to its optimum capacity.